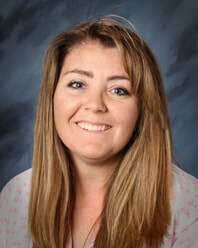 Hello, I am Nicole Cifelli and I am the science teacher this year. First, let me give you a little information on my background. I was born and raised in Tucson, Arizona. My husband, Mike and I moved to Las Vegas in 2008 when he joined the fire department. We have five children, JulieAnna (29), Sara (27), Alexandra (26), Nicholas (25), and Kayla (17). We also have five grandkids, Kaden, Khloe, Cole, Cain, and Madyson!!! My husband and I are really enjoying being grandparents (I’m a Mimi). I completed my undergraduate studies at Northern Arizona University. I then continued my studies at University of Nevada Reno, and earned a Master’s Degree in Equity and Diversity. My educational philosophy is that every student is capable of learning and achieving high academic goals. I also feel that a safe and nurturing environment is essential, as well as motivation through positive words and actions. I have been teaching for 15 years from Kindergarten to Middle school however, this is my first year just teaching science. I am very excited about this new adventure! Science is a hands-on subject that easily lends itself to incorporate reading, writing, and math. My goal this year is to teach all subjects while developing a love and appreciation for the many different topics within science. I want students to question, explore, and create new understandings through hands-on activities and cooperative learning.